What a beautiful month may was! The sun was shining, there was a hair event annnnnnnd that's right another amazing Treasure Tress box arrived in the post. Once again they have brought us a BRAND NEW launch. 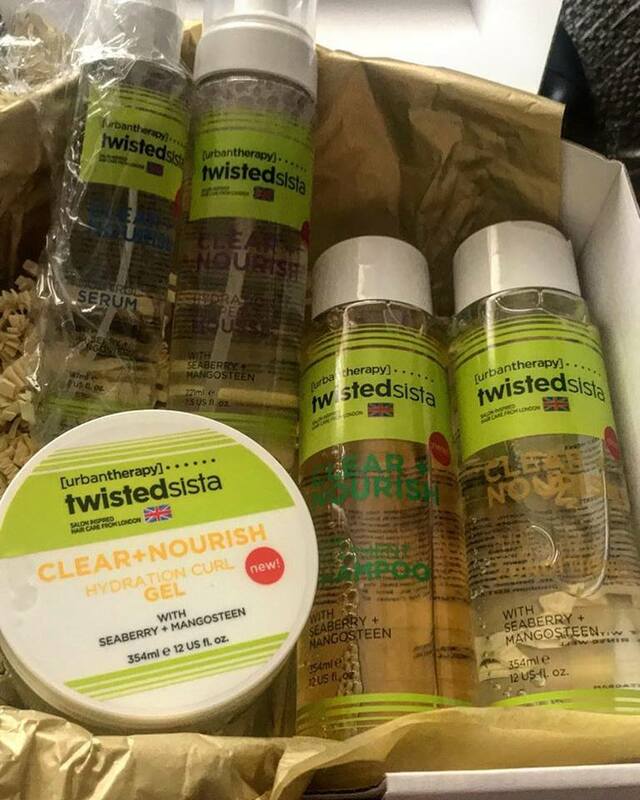 Twisted Sista is a brand we have come across before and which was included in a previous box (Edge Control). Clear & Nourish is a new range from them, and is made with SeaBerry and Mangosteen. 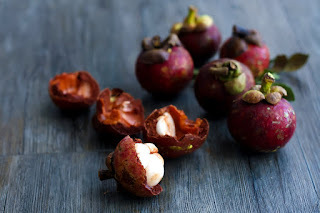 When i first got these products my first question was, what on earth is a mangosteen and a seaberry. I have never come across these before. Thankfully, the Clear & Nourish website breaks this down for us. Mangosteen is considered to be one of the most powerful healing antioxidants with several benefits that works against anti-inflammatory. BENEFITS: Provides scalp relief and promotes hair growth. 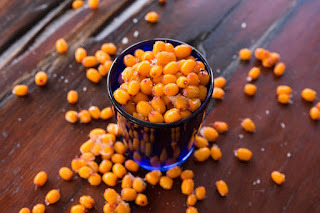 Seaberry is valued as a potent antioxidant enriched with nourishing omegas 3, 6, 7 &9 and carries vitamins A, B, C D.
BENEFITS: Detangles, nourishes to help dry hair and prevent split ends resulting in strong healthy hair. It also contains Green Tea which Stimulate hair growth and soften the hair. It contains vitamin E and vitamin C, which are known to boost lustrous hair. There are 6 products in this range, and we were provided with 5 of them in this months box. "cut styling time in half while providing superior smoothness, manageability, and natural movement." I don't think since starting my healthy hair journey, that i have used any serums in my hair. I used to be a fan of them when i wore my hair straight of course, but never when curly. 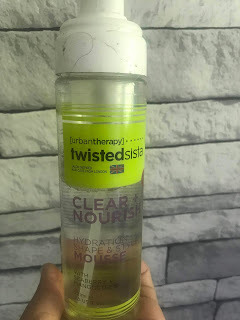 The bottle is in a spray form and the directions say to use one pump in your hands and then distribute this throughout the hair, and if using on dry hair use it to polish ends. I used this by spraying it directly onto my hair, and then scrunching it in. I found that this gave my hair a lot of shine, without leaving it greasy. It has a wonderful smell and didn't leave any sticky residue on my hair. Would i purchase this product again? I'm undecided. I really like the way it gave my hair shine but i am just still not a massive fan of serums on curly hair. 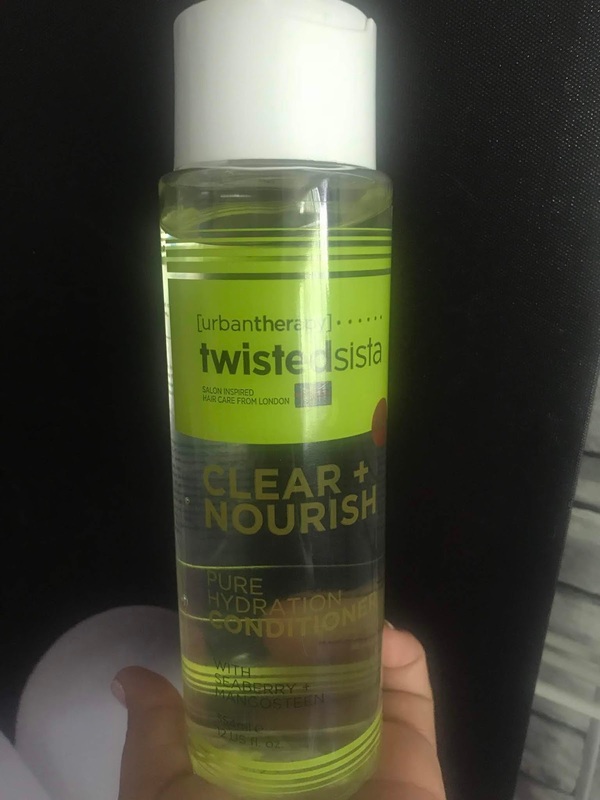 "A moisturising, non-sticky styling gel that keeps curls hydrated, defined, soft and shiny all day." This does exactly what it claims to do on the tub, literally. At first this product looked like it was going to be a huge no from me. I opened the lid and you could see how sticky it was as it was opened. I was ready to right it off but, what kind of blogger would i be if i didn't try it to review for you? I am so glad that i did! 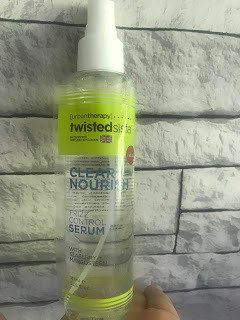 I absolutely LOVED this gel. 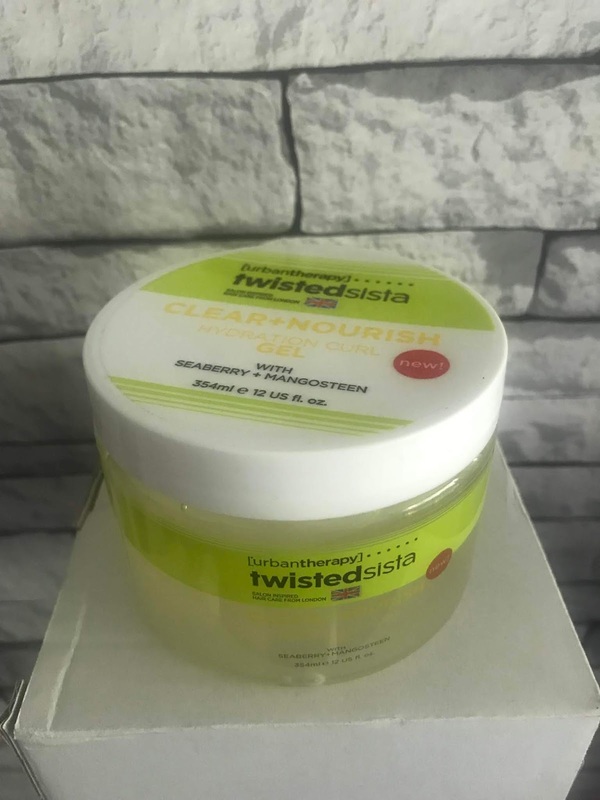 We know how candi feels about hair gels, but this one as it says on the tub is non-sticky and leaves your curls very defined and shiny. Would i purchase this product? YES. Not for a while as i also got another one in another goodie bag (win-win), but i am a fan of this one for sure! "Experience a humidity resistant formula that will weightlessly support hair for lasting volume and frizz prevention." Never a fan of hair mousse, this is surprisingly my fave product in the collection. Usually you get a sticky residue from using a mousse, or it will leave your curls on the crunchy side, but not this one. The only issue i had with this one is that i didn't shake it and press it hard enough the first time, so it came out nothing like a foamy mousse should. Once i got it out right i fell in love with it straight away. My curls weren't crunchy or hard, they didn't feel sticky even my hands weren't sticky, and the results lasted all day. It has been really humid in Manchester lately, and this has been my go-to! Would i purchase this product? Yes. For sure. Especially during these humid weathers. This will be in my suitcase when i go away on holiday. "A daily shampoo for all hair types, that leaves strands incredibly soft and shiny, while improving overall manageability." While i wouldn't use a shampoo daily, i did like this shampoo. 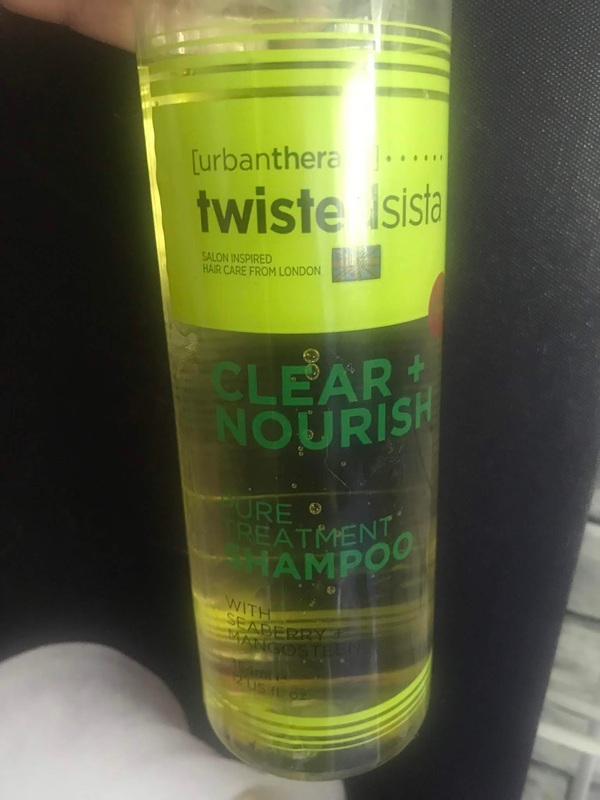 I recently filmed a video where i used this shampoo. The strange thing with this one is that it is clear! I have never used a shampoo which is like it before, and it was a strange one. It smells amazing and it worked really well on my hair. My hair was left feeling clean, looking shiny and feeling very soft. Even before adding any conditioner in, my fingers were able to easily slip through and detangle my hair. It lathered up nicely and my hair didn't feel in any way stripped. Would i purchase this product? Yes. "For normal to dry hair , pure nutrients deeply hydrate hair while maintaining its natural moisture balance. This gentle, daily-use formula conditions and detangles dehydrated hair leaving it smoother, more manageable and easier to style." This product range actually has 2 conditioners in it. There is also a pure volume conditioner for those with more wavy hair textures who want to add some body to their hair. As with the shampoo, and possibly even more, this product is clear. It is like what you would expect from a gel. It has a stronger smell than the shampoo, but its the same amazing smell present in all of the products. I found that this had great slip and i was able to comb my hair very easily with the conditioner in my hair. It felt soft and looked shiny. Overall, i am impressed with this box. The products all have done what is expected from them, and the best part is they are so easy to get hold of. I have said before in previous posts (like in this article with Delux Hair) that is is difficult to go to a store and find products that work for my hair. It is the reason that i shop online for almost all of my hair needs. This brand however, are available in Superdrug. 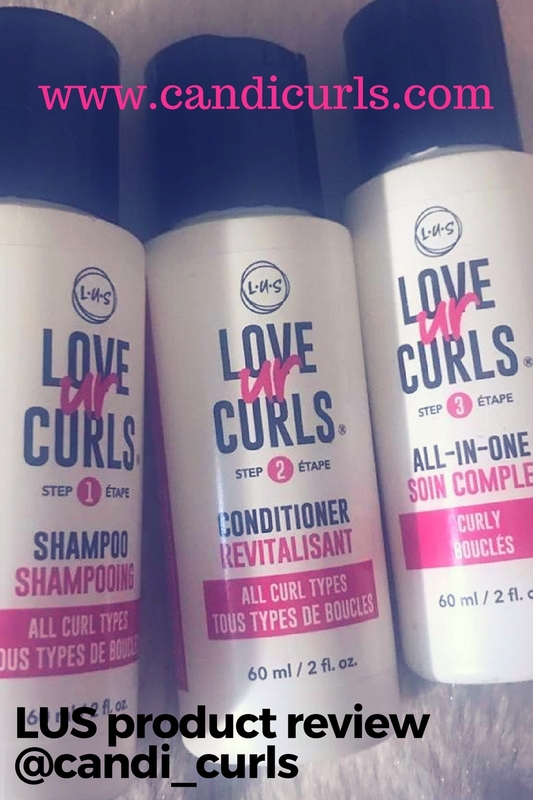 I know that a lot of people are now following the Curly Girl method, and so i have checked most of the ingredients in some of these products for you. The shampoo is CG Friendly, although it does contain Polyquats which may cause build up on finer hair. The gel also seems to be CG approved. Remember that TreasureTress is a monthly subscription box bringing you full sized products every month, right to your doorstep. This subscription costs just £20 a month (+p&p) and can be cancelled or paused at anytime. To sign up now click on the link and use the code "CANDI10" at the checkout to save 10% off your first box!